Discussion in 'The Lightweights' started by MUSTKILL, May 13, 2014. I've seen a lot of people call Fedor nothing but a can crusher, unless you're a total n00b, you'll know these facts and why Fedor is considered the undispited GREATEST OF ALL TIME. There's really no argument unless you're a hater. Fighting former champs means nothing, fighting top ranked opponents means much more. GSP and Anderson trump Fedor with ranked wins, which is the most important stat. 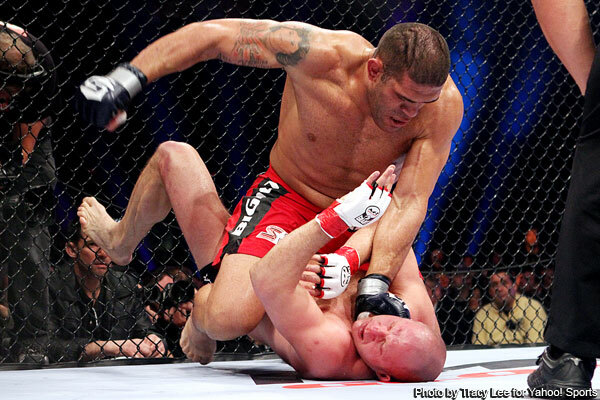 no one is impressed by beating lindland either, he is a middleweight. All of those guys listed were ranked at the time in the top 10, with the exception of Lindland and Ogawa. I'm impressed with the originality of this thread. Extra troll points for posting it in the heavies too. he was in the UFC.....and IF he could make the weight. Awaiting SH*^ storm. Oh jeez here we go again. fedor is a great fighter but far from the best. He has only won once in a cage. When Zuffa bought SF, Fedor ducked and made excuses. Fedor is GOAT of Pride but thats about it. Silly huggers. He's not on GSP's level, and even Anderson might be ahead of him. Both Anderson and GSP had far tougher strength of schedules than Fedor did. If Fedor fought as many top fighters on a consistent basis he would have probably lost in his prime. he beat legit beasts in their prime(while some were on the juice).. The fact that he fought some guys who weighed much heavier than him is impressive enough while Jon Jons has the luxury of fighting smaller guys all the time is not. GSP can't finish a fight. Only Anderson has a legitimate claim to the #1 GOAT fighter title other than Fedor but the fact that he got beat by cans in his near prime kind of brings him down a notch. Yeah but you have to factor in losses to, fedor never lost to scrubs. Flying to Japan and fighting guys 20 pounds heavier than you on a regular? Kicks and knees to downed opponents? 10 minute first rounds?